Honey, long known for its medicinal properties, has been used round the world for centuries. Talked about in the ancient folklore and first recorded in Sumerian cuneiform writings and sacred writings out of both India and Egypt, it’s believed that honey dates back much further than recorded writing. There are different types of honey, and when comparing quality, Manuka honey is the best available. 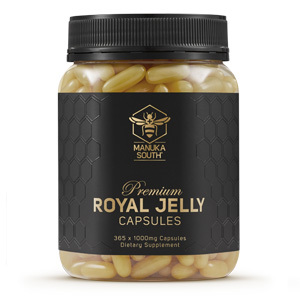 As part of a balanced diet, Manuka South UMF® Manuka Honey 15+ 500g helps to increase overall well being. The UMF® Honey Association has put together an international program which offers validation of the characteristic properties found in Manuka honey, and this governing association is one you can trust. The labels on the jars spell out exactly the UMF® rating, but in order to get the Associations special label several things must first happen: the honey must be verified as being from New Zealand – the only place the Manuka bush is found, it must have production standards verified to ensure safety of the product, and it must be tested for other naturally occurring compounds which synergistically assist in the unique properties of the honey. All of our bottles of Manuka South UMF® Manuka Honey 15+ proudly display labeling from the UMF® Honey Association, because we take our business as seriously as you take your health. We know that you want the best, highest quality honey you can get. Order your own jar of Manuka South UMF® Manuka Honey 15+ today, and start experiencing better health and well being today. When you buy Manuka South UMF® Manuka Honey 15+, you know you’re getting what you pay for. The UMF® Honey Association oversees the process before allowing their mark on any product. 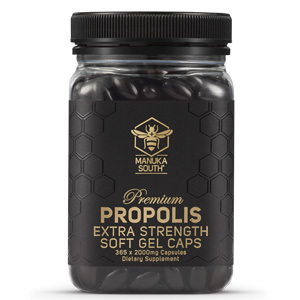 Most genuine high-grade Manuka Honey from New Zealand like Manuka South includes a UMF rating on the label. Some Manuka Honey brands instead use an MG or MGO rating (methylglyoxal) to rate the honey on the label. Honeys without a UMF or MG/MGO rating are generally low-grade honey without the beneficial characteristics that have made premium Manuka Honey so much in demand. Take 1-2 teaspoons of honey daily before meals.